Tata Communications, a leading digital infrastructure provider, is working with Surbana Jurong, one of Asia’s largest urban, industrial and infrastructure consulting firms, to equip its Internet of Things (IoT) enabled lifts and escalators with secure, scalable connectivity to Microsoft’s Azure cloud platform. Tata Communications, Microsoft and Surbana Jurong will be discussing their collaboration in a keynote panel at IoT Asia on March 21st. As a key part of its Smart City in a BoxTM solution, Surbana Jurong’s Lift Monitoring System enables property management companies and public sector organisations to remotely monitor the safety and maintenance of lifts and escalators. 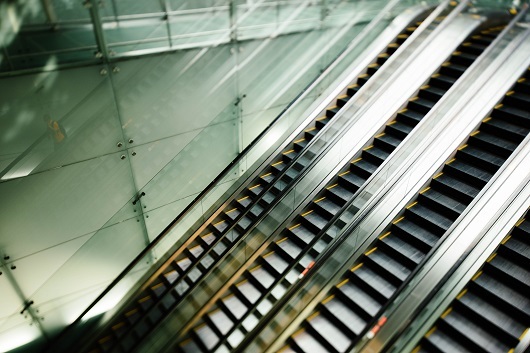 The IoT-enabled monitoring system uses artificial intelligence tools on a Microsoft Azure cloud platform to predict when a lift or escalator is likely to fail, and trigger an alert for maintenance before a breakdown occurs. Given the critical nature of this operation, Surbana Jurong’s Lift Monitoring System uses the highly secure Microsoft Azure cloud platform coupled with Tata Communications MOVE™. This IoT connectivity service enables data to be carried over an edge-to-edge encrypted virtual private network (VPN) for maximum reliability. Surbana Jurong’s monitoring system is used in around half of all lifts and escalators in Singapore, and the company is beginning to make significant inroads in China, the world’s largest market for these infrastructure assets. The combination of Microsoft Azure and Tata Communications MOVE™ enables Surbana Jurong to collect and manage its customers’ lift maintenance data seamlessly globally, facilitating its expansion to new markets. Surbana Jurong is on track to deploy IoT devices in all lifts and escalators that it monitors, with all data stored in Microsoft Azure data centres in Singapore. Tata Communications MOVE™ will help these IoT devices to be deployed quickly by leveraging the company’s relationships with more than 600 mobile network operators, and its private connectivity into Microsoft Azure data centres globally. The fully virtualised, API-enabled, software-defined and fully automated Tata Communications MOVE™ platform also gives Surbana Jurong real-time control and visibility over lift monitoring data, simplifying the management of lifts on a global scale. Tata Communications MOVE™ is a part of the company’s aim of creating truly borderless mobile experiences for people and things. It is underpinned by Tata Communications’ relationships in the world’s mobile ecosystem and its global network, which today connects 4 out of 5 mobile subscribers and carries over 25% of the world’s Internet routes. Surbana Jurong Private Limited (SJ) is one of the largest Asia-based urban, industrial and infrastructure consulting firms. Leveraging technology and creativity, SJ provides one-stop consultancy solutions across the entire value chain of the urbanisation, industrialisation and infrastructure domains. Headquartered in Singapore, the SJ Group has a global workforce of 13,000 employees in 113 offices across 44 countries in Asia, Australia, the Middle East, Africa and the Americas, and an annual turnover of around S$1.3 billion. SJ has a track record of over 50 years, and has built more than a million homes in Singapore, crafted master plans for more than 30 countries and developed over 50 industrial parks globally. SJ’s motto ‘Building Cities, Shaping Lives’ reflects its belief that development is more than just steel and concrete. SJ creates spaces and infrastructure services where people live, work and play, shaping cities into homes with sustainable jobs where communities and businesses can flourish.